What Is The Biggest Casino in Austria? - Casino Answers! Casino Answers » Casino Trivia » What Is The Biggest Casino in Austria? What Is The Biggest Casino in Austria? Austria – birthplace of Amadeus Mozart, Sigmund Freud, Arnold Schwarzenegger, home to strudel and Sachertorte and, all-in-all, a beauty country thanks in no small part to the views of the Alps you can find throughout the country. Austria is definitely one of the finer countries in Europe, and one that if you have no visited should be high on the list. And while you are there, you no doubt want to experience what Austria has to offer in terms of casinos. If you look hard enough, you should be able to find all the casinos in Austria – 12 of which are owned by Casinos Austria (who own casinos worldwide, including Australia and Belgium), and the remainder are owned by the Concord Club, who are perhaps more famous for running poker tournaments than actual casino games. You will find casinos in Baden, Bad Gastein, Bregenz, Gmunden, Graz, Innsbruck, Kitbuhel, Kleinwalsertal, Kufstein, Linz,Reutte, Salzburg, Sallbach, Seefeld, Velden, and Vienna. But out of this fair-sized selection of casino, what is the largest casino in Austria? Well, although none of the casinos are on the scale you might have come to expect if you are a regular in Las Vegas, many of them are of a substantial size, and the biggest casino in Austria is actually the Casinos Austria owned Casino Baden, which you can find at Kaiser-Franz-Ring 1, 2500 Baden. Baden itself is a beautiful town with a lot of history to its name. Historically, it is known as a spa town and it is located around 25 miles south of Austria’s capital, Vienna. It is named after the town’s famous hot baths (Baden) and its history can be dated back to Roman times. However, with all that history comes modernization and Casino Baden is the shining beacon in it all. While the history of the Casino Baden name dates back to the 1930s, the Casino Baden that now stands in the town of Baden has only been at its current location since 1992. It started life as a small casino in the Kurhaus, before moving around the town, finally settling on Veranstaltungshalle as its home, with millions of euros being pumped into it in terms of renovation and refurbishment over recent years. As you would expect from such a historical town, Casino Baden is luxurious, opting for a more rich and decadent feel more in keeping with its European brethren than its American counterparts. It also offers more traditional gaming instead of more modern casino games, again opting for tradition. 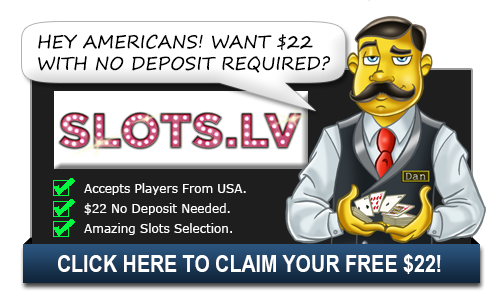 Currently you can find eight American Roulette tables, one electronic roulette table with 15 terminals, a ‘multiroulette’ table with eight terminals, one Joker Wheel, one Tropical Stud Poker table, an Easy Hold ‘Em table and six Texas Hold ‘Em tables, complimented with over 200 slot machines, around 20 of which are linked up to the Mega Millions progressive jackpot. Although you are not spoiled for choice at Casino Baden, it attempts to make up for it with the exclusivity factor. To add to the exclusive feel of the Casino Baden, the opening hours are slightly more restrictive than in other casinos around the world. The casino itself opens from 3pm and closes at 3am, giving you 12 hours to spend on the tables or at the slots, which, in this day and age, is not long at all. Christmas Eve is also a gaming-free day at Casino Baden, so plan accordingly should you decide on taking trying to create a Christmas miracle. If you are a follower of the goings on in the poker world, you will also recognise Casino Baden from the European Poker Tour, as it held three events there in 2005, 2006 and 2007. Poker luminary Patrik Antonius was the first man to win the EPT Baden at Casino Baden, followed by Duc Thang Nguyen and then Julian Thew. The EPT never returned to Casino Baden follow 2007, but the casino had its deserved place in the spotlight, albeit it for a relatively short time. Casino Baden attempts to recreate a bygone era in casino gaming, and they do it with style. There is nothing over the top with it, you are made to feel like a VIP, in part due to a slightly stricter dress code than you might expect, but also due to the opulent surroundings. Casino Baden is one of the more intimate, special casinos to play at, and when you factor in the town surrounding it, it is fair to say the biggest casino in Austria is also the best. What casinos are in Austria?